Exterior Worlds fields a team of experienced Houston Landscaping Designers who work in every major neighborhood of our metropolitan area. 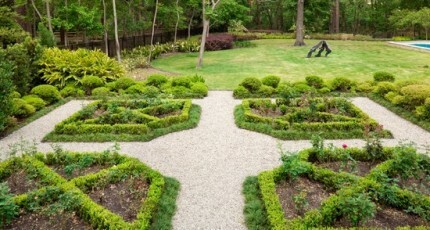 Our plans are characterized by a unique, and highly personalized, blend of advanced consultation and planning, impeccable garden designs, hardscapes, and landscape architecture. The goal of each project is twofold. On a practical level, our services aim to create an interconnected, interrelated network of functional outdoor living environments that you can enjoy just as much as the interior rooms of your home. On an aesthetic level, we aim to unify nature with your home itself in a manner that exponentially magnifies the curb appeal of your property. Exterior Worlds is a firm believer in customization. Even when creating typically standard landscape elements, we look for ways to adapt these forms to the individual personalities of the homeowner. After all, it is the homeowner who will be experiencing these elements firsthand on a daily basis. It is important that our clients see themselves, their values, and their personal tastes reflected back to them in the many zones of interest that we install in their yards. To get this level of personalization, the Houston landscaping designer must take the time to really get to know the clients. At least one in-depth, design consultation will be required to accomplish this. Clients are encouraged to share their preferences for comfort, aesthetics, different styles with which they are familiar, and to consciously think about what activities they plan to hold outside. This information serves as the raw material for developing the master plan which functions as the blueprint for the new outdoor living environment. Houston landscaping designers then begin systematic implementation of the landscape design. The foundational elements of land grading and drainage are tackled first. Most yards in our city have problem areas where standing water collects or where water runoff occurs so rapidly that erosion begins to eat away the topsoil. Correcting these problem areas first is essential to creating sustainable forms that will retain their functionality and beauty for decades to come. Drainage systems are concealed at all costs to avoid diminishing the attraction factor of the yard. Different types of drains, such as French drains and ornamental grills, are developed to look like accent landscape features serving a purely decorative purpose. Concealed irrigation systems, such as drip dispensers and custom sprinklers, are constructed in lawn and garden areas that require more water than natural rain cycles provide. Hardscapes are constructed next. In most of our projects, hardscapes technically dominate anywhere from 60 to 80 percent of the entire yard. We have to point out that hardscapes, by definition, include more than patios and walkways. Decorative stepping stones, driveways, ornamental gravel beds, and decks also fall into this landscape design classification. Houston landscaping designers build these elements first to add the first layer of form to the property. More advanced landscape architecture is then constructed next. Structures in this category vary widely in function and form. Outdoor living rooms offer a blend of partial enclosure and optimal vantage point where people can enjoy a sense of privacy that is still open to nature. Gazebos, arbors, and pavilions all offer varying degrees of shade and shelter surrounded by gardens, trees, or shrubs of some kind. Houston landscaping designers also oversee the construction of actual outdoor buildings. Swimming pool guest houses allow clients to have loved ones over for extended stays in a special area built just for visitation. Outdoor kitchens of all designs give homeowners the opportunity to cook five star meals outdoors in a completely self-sufficient cooking, serving, and dining environment. Swimming pools, fountains, ponds, and waterfalls are also built by our team at this time. The importance of water features like these varies from property to property. Water elements are intended to compliment both the house and the surrounding structures in a manner that unifies the entire scene. Some of the most sophisticated custom work accomplished by our Houston landscaping designers over the past 25 years has been done in the arena of swimming pool construction, pool remodeling, and custom fountain design. Finally, Houston landscaping designers complete each project by adding any number of softscape elements to the final design. Soil amendments are made prior to planting to induce healthy growth of garden plants, shrubs, ornamental grasses, and trees. Special low-maintenance designs can also be developed which include the use of completely organic fertilizers, pesticides, and/or drought resistant plants that require only minimal amounts of city water for sustainability.